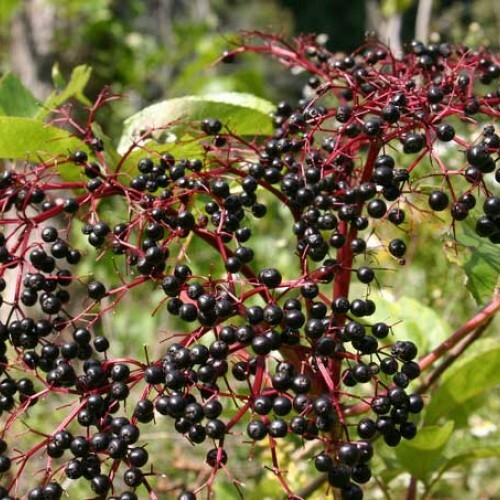 There are many great benefits to planting elderberries. 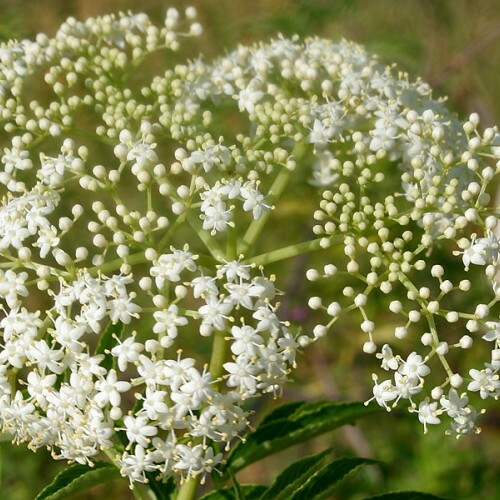 White flowers and purple berries make it a wonderful ornamental plant. They can also serve as a wildlife attractant. People can enjoy the fruit too, in syrups, pies, extracts, jams, wines and champagnes. Just make sure berries are clean, fully ripened and processed before consumption as unripened fruit contains trace amounts of cyanide. Flowers are also edible. This is the fruit with probably one of the highest iron contents of any wild or cultivated fruit. 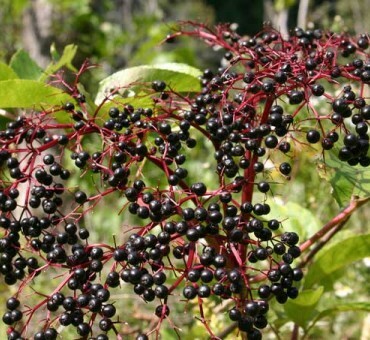 Elderberries also contain lot of antioxidants and high amounts of Vitamin C and potassium. Seed sourced from large full cluster plant found in central Michigan.